Historians are used to the concept of formal and informal empires. They are used to empires expanding and empires declining. Most are perhaps less familiar with a concept bandied about in the United States from the late 1860s to the mid-1930s – that of an “invisible” empire. In reality this empire was anything but invisible. Born in the turmoil of the post-Civil War South, by the mid-1920s it had spread to all mainland states of the Union, claiming some ten million members. It was also known as the Ku Klux Klan. 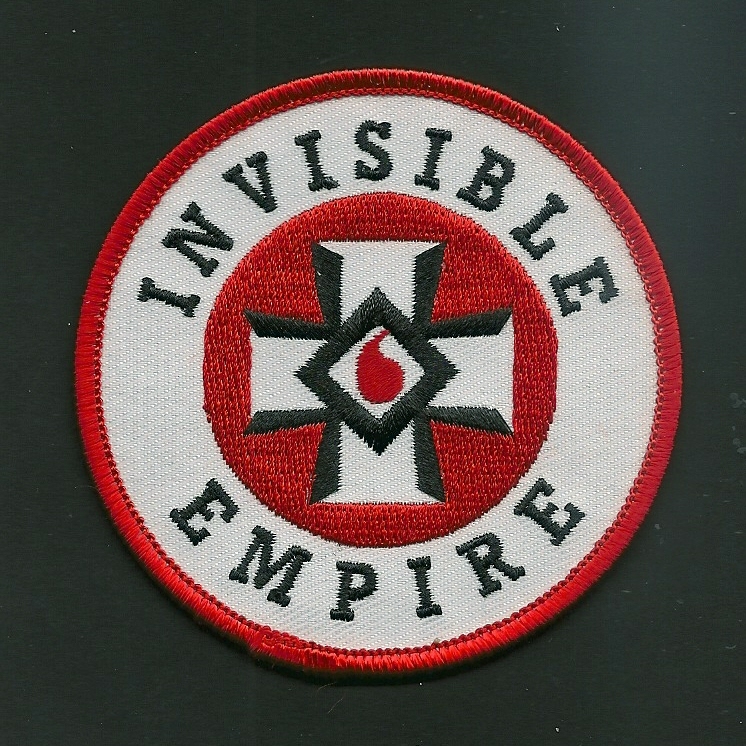 As with much of the history of the KKK, the origins of the term “Invisible Empire” are disputed. Some claim that it emerged from Confederate General Robert E Lee’s polite request to keep his support for the nascent Klan “invisible”. Others see it as a part of the secrecy surrounding the original hooded fraternity. Whichever origin is chosen, there’s no doubting it was a useful phrase. Arguing that Lee’s Klan connection was kept “invisible” at his own request was a trump card for those dedicated to the order’s mission of “Redeeming” the South’s pre-bellum traditions. However invisible, connection to the most illustrious figure of the Confederate war effort gave the Klan prestige and legitimacy, not only during the struggles of post war reconstruction, but also when the Klan re-emerged in 1915. Claiming he had wanted his ties kept secret also made it more difficult for either the general sceptics or the KKK’s enemies to disprove his connection with the vigilante organization of Reconstruction – which they all attempted to do. The controversy surrounding Lee’s allegedly “invisible” connection also, of course, makes it more difficult for historians now to accurately assess his connection. Early accounts of the Klan repeat the rumour, largely because the order was seen in a generally positive light. In some measure this was the result of a negative view of the Reconstruction efforts carried out in the post-war South. These Radical Republican-led attempts at racial integration and universal education were almost universally seen as the misguided efforts of unrealistic idealists, or viewed as the actions of corrupt politicians. Further, many of the historians writing histories of the Klan from Reconstruction through until at least the 1920s were, or claimed they were related to, members of the order. The result was that accounts like that of Susan Lawrence Davis (1924) reiterated the myth offering no hint of its origins and making no attempt to show its authenticity. Merely stating the case seems frequently to be considered enough proof by the standards of the time, but Davis’ background tells us much about her real sympathies. She was the daughter of a Confederate colonel and Klansman, Lawrence Ripley Davis. What is more she draws on equally unreliable sources, like the memoirs of one of the founders, John C Lester. However, unlike previous accounts, Davis even quotes Lee’s words. She has the general tell the deputation asking him to head the order in May 1867 that, “I would like to assist you in any plan that offers relief. I cannot be with you in person but I will follow you, but it must be invisible.” She goes on to explain, “When this message was delivered to the [Klan] convention it led to the christening of the United Ku Klux Klan, the “Invisible Empire””. By the end of the 1920s the Klan’s position in American society was less secure. A series of sexual and financial scandals combined with revelations of its violent methods reduced both the numbers and reputation of the order. The result was that even apologists tended to veer away from associating the symbol of Southern chivalry and gentility – Lee – with a tainted order of what even its leader had referred to as violent, ill-educated “second hand Ford owners”. Consequently, most historians since the 1930s have tended to see the Invisible Empire as being an example of the order’s fascination with mysticism. This securely ties the order back to the craze for secret brotherhoods which swept across the United States in the wake of the Civil War. The period from 1865 to 1930 saw a huge explosion in fraternities of all types, so much so it is referred to as the “Golden Age of Fraternity”. College Greek letter fraternities; fraternities associated with particular trades, ethnicities and interests; fraternities formed to achieve certain aims, as well as the more traditional varieties like the Freemasons, Oddfellows and Shriners all prospered and expanded. One estimate claimed that around 1900, one in five American adult males was a member of at least one fraternity, many belonged to several. The Klan itself had started as a simple fraternity. Around Christmas 1865, six bored ex-Confederate veterans, recently de-mobbed, formed their own fraternity – simply for entertainment. Like many other contemporary orders secrecy was central to the new fraternity. It had elaborate oaths of secrecy threatening dire punishment for those who spread details of the order. It had weird names to disguise the identity of members, and elaborate costumes to hide their faces. When, by 1868, the order had spread across the Southern states and was terrorizing those attempting to empower and integrate the region’s four million ex-slaves, that invisibility proved vital to avoiding prosecution and counter-attack. 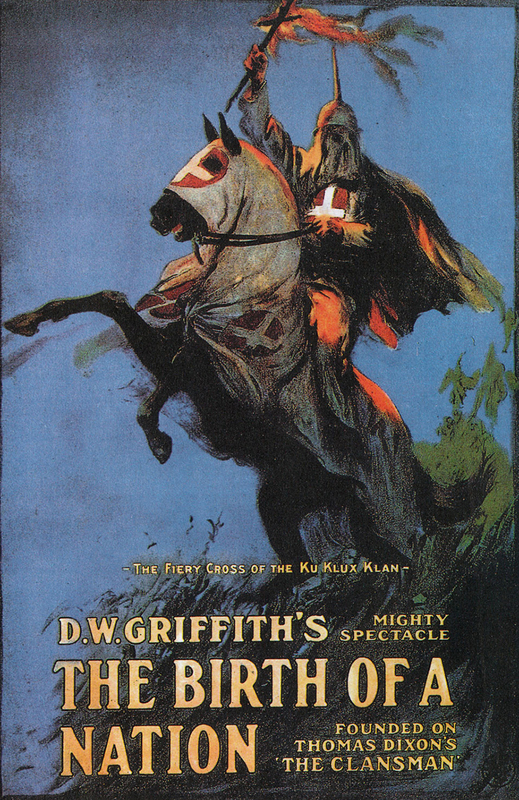 Similarly when the Klan was reformed in 1915, secrecy remained essential, not so much for the protection of its members, but more for the frisson of excitement and exclusivity it gave its members as part of a society made even more famous with the blockbuster release of Birth of a Nation (1915) on the silver screen. As the Klan organisation expanded in the 1920s its “invisible” nature continued to help it. It enabled recruiters to gull fee-paying members into joining an order that never had anywhere near the ten million members it claimed at its peak in 1924. It allowed the organisation to exaggerate its power, by claiming it had members – sworn to secrecy, of course – at all levels of government from the White House down. It allowed the leadership to disavow actions of members they felt were acting to damage the image of the fraternity and disguise the order’s rapid decline from the mid-1920s onwards. Its leadership apparently found the concept of an “Invisible Empire” had much more to commend it than a visible one. 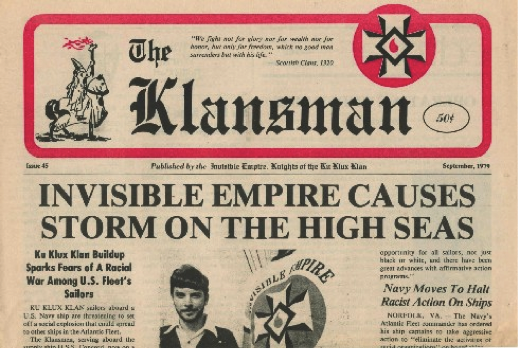 Klan newspaper of the 1970s. Having said that the concept of the Invisible Empire has proved a constant headache for historians. 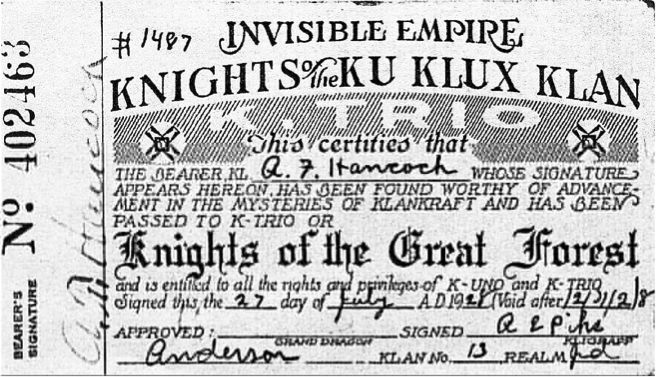 Secrecy and exaggeration, added to the lack of records and a reluctance of many to admit their own, or relatives, association with the Klan mean that our histories of the fraternity are necessarily to some extent speculative – especially when it comes to numbers. Nevertheless, this very secrecy makes new theories, new explanations and, of course, new histories of the Klan possible. Kristofer Allerfeldt will be working on a new history of the Klan in conjunction with his PhD student, Miguel Hernandez, in 2015. Susan Lawrence Davis, The Authentic History of the Ku Klux Klan (New York, 1924).